Cuba leader expects greater reach for The Salvation Army. Following years of reported behind-the-scenes talks, largely influenced by Pope Francis, the recent shift to mend U.S.-Cuba relations opens a new door of opportunity for The Salvation Army in Cuba. A member of the Cuban Council of Churches, The Salvation Army in Cuba today operates more than 20 corps and two social service projects—a senior home and an addictions recovery program. One of few remaining socialist states espousing communism, Cuba’s turbulent history—from the 1898 Spanish-American War to establishment of the Communist Party of Cuba in 1965 and continued tension with the United States—has sidled the island’s lush beauty with difficulty. 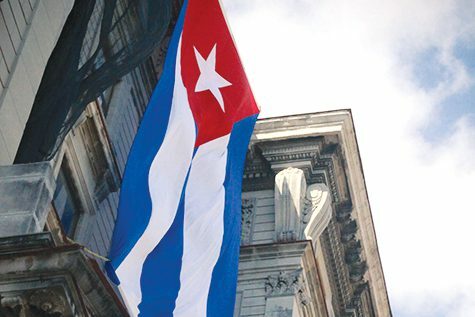 The average state salary in Cuba rose 1 percent in 2013 to 471 pesos ($20) a month. That same year the state-run food stores that distribute rations marked 50 years of providing subsidies. “From a religious standpoint—from an evangelical, a Salvation Army standpoint, we should rejoice because the doors are opening for continued and even greater support of the mission in Cuba,” said Commissioner William Francis, a USA Eastern Territory officer who served as territorial leader in Canada and Bermuda from 2007 until retirement in 2011, and initiated support for a five-time annual Canadian mission to Cuba. The Salvation Army began work in Cuba in the early 1900s with missionary officers, was officially recognized in 1918, and operated until 1958 when the last overseas officer left the island upon signs of revolution, according to Moreno, who was once an inspector for the government. For 10 years, Moreno said, Cuban people continued the Army’s work without the knowledge of international headquarters.